Anything in the last patch that would cause colorization of Steel Series gauges to stop working? Just happened this morning. @Avocadodude - Yes. Working on a patch. Issue caused by an accidental change to old code while working on super secret project. The patch is good! Thank you. * Fixed an issue that caused the sign-up page to work intermittently; was caused by Captcha "I am not a Robot" integration. * Fixed an issue that sometimes prevented map functionality from working. * Currently making changes to satisfy EU GDPR. We will update the production site before May 25th which is the GDPR deadline. * If you are a GS OEM'r and have users in the EU, you will also need to satisfy GDPR. You will need to identify GS as a 3rd party data processor. * FYI, by default, new component streams are configured to only retain data for two years. You can change this by entering the org, entering component studio, editing the two year Delete Profile. Rename it and change the time to retain data. * EU GDPR Compliance including updates to our Privacy page. 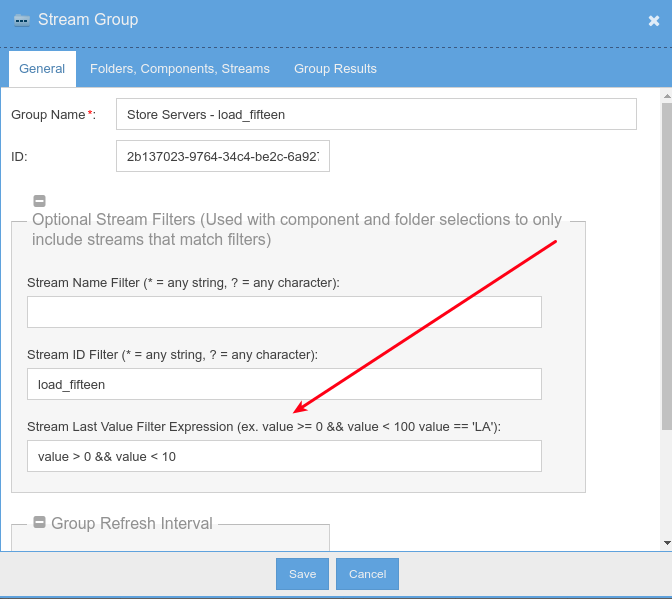 * Added the ability to query for streams, via stream groups, by the stream's last value by applying an expression to the last value. * Fixed an issue where folders within Observation Studio would remain empty after Refresh is clicked. * Added more options to Organization Backup. Backups can be timely for large organizations. We added an option to only backup selected folders. * Redeployed the above patch. The above patch deployment caused some functionality to be missing from Observation Studio. Fixed now. * Fixed a point stream import failure due to importing GS stream files with a mixture of point streams and other streams with sample times into the future. * Mobile/Modern empty root folder causes API call limits to be reached issue fixed. * We've finished porting all of the dashboard widgets over to the new Mobile dashboard builder and viewer. Pivot table/graph widgets were the last ones. There is a lot of testing that needs to be done, but existing dashboards should open in the new Modern/Mobile site and can be edited there. Important - If you edit and save a dashboard in the Mobile site, it can't be opened in Observation Studio (or with the old URL) anymore. So don't do that unless a copy is made first. * Improved Derivation detection algorithm. Time between derivations should improve. This was a complex change. Notify us if your streams stop deriving. * Bug fix for validation during a Component save when it included STRING streams with a default rollup method of "NONE"
* Added file storage via FILE streams. Save files within a Regular or Interval stream: create a stream, set its value type to "FILE", save the component and double click the stream. Drag files onto the grid. Use the file URL in dashboards or other locations. This is work-in-progress. Notify us of any issues. We will be billing for file storage, by the amount of bytes saved, in the future. File storage looks interesting. I tried it and it works well to download the file to a PC with essentially unlimited storage. I would like to use it with an embedded processor so would need to read the file a line at at time (maybe 512 bytes per transaction), save the line to local non-volatile storage, probably on an SD card, and keep repeating until the end of the file is encountered. This would provide the essential elements of an over the air upgrade capability to the embedded processor product. Is there a way to read the file as described? If not has that been considered as a future addition? * Added start and limit parameters to feed/file API to allow files to be downloaded in chunks as base64 strings.